are still in full swing! doesn't get any better than that! Aspen Chamber Symphony, conductor Tomas Netopil, will be performing 3 movements tonight from these timeless composers. Music on top of Aspen Mountain! It will cost only the price of the gondola ride to the top of the mountain where you will be serenaded with the beauty of musica....and the visual "serenade" of the view from the Top! The star-studded cast features tenor Anthony Dean Griffey as Peter Grimes and soprano Susanna Phillips as Ellen Oxford. This special centennial tribute to one of the greatest composers of the 20th century, Benjamin Britten, is something not to be missed! Boog’s music is authentic Island music and genuine Jamaican reggae at the same time—truly a new and exciting combination. Tab Benoit is a Cajun man who’s definitely got the blues. A guitar player since his teenage years in Houma, LA, he hung out at the Blues Box, a ramshackle music club and cultural center in nearby Baton Rouge run by guitarist Tabby Thomas. Playing guitar with high-profile regulars at the club, Benoit learned the blues first-hand from a faculty of living blues legends. Nigel Hall is an honest, humble guardian of soul music. When asked about himself, Nigel reflects, “I’m just someone who lives, eats, drinks music.” This ethic becomes clear when he takes the stage. Robert Walter is an accomplished keyboardist and composer, who playing piano, Hammond B3 and Fender Rhodes. While touring extensively in the US and Europe, he has worked as a leader and sideman with many of the giants of American jazz and funk music. This unique mountain bike race combines the four ski areas of Aspen/Snowmass (Snowmass, Buttermilk, Aspen Highlands and Aspen Mountain) into one amazing mountain bike race. This race is in a category of its own...diverse terrain and 4 distinct mountains! The field consists of solo racers and relay teams (of two or four) from the avid bike community that exists in Aspen/Snowmass, Colorado and beyond. Racers will start at the base of Snowmass and finish at the base of Aspen Mountain in Gondola Plaza. With 9,000' vertical gain and drop over 36 miles on top-rated single track, demanding double track ascents and coverage on each of our four mountains this race will challenge even the fittest riders. Experience the Power of Four! The race will award a $2,500 prize purse. The top three men (1st - $750, 2nd - $350, 3rd - $150) and women (1st - $750, 2nd - $350, 3rd - $150) finishers will be paid out of the purse. All registered racers will receive a Helly Hansen Cool Tee and finishers will get a custom gift. Plus, Shock Top Belgian White will raffle off a 2013 Yeti mountain bike at the conclusion of the race. You can still enter by going on to the Aspen/Snowmass website. Parents....did you know that you can head to Aspen/Snowmass and the whole family can have fun together....or if you want to do a day-hike or play a little golf your kids can have fun on their own at Camp Aspen/Snowmass! Nature walks atop the Rocky Mountains. Mountain biking clinics. Camping out under the stars. Pony rides. Mountainboarding. Paintball, all summer families are spoiled by so many choices! Toddlers can enjoy art and music at the Treehouse Adventure Center, young children can learn about the magic of nature, and teens can build their confidence with thrilling activities. Come join us at The Innsbruck Aspen and we can help you with reservations and planning activities for your kids! 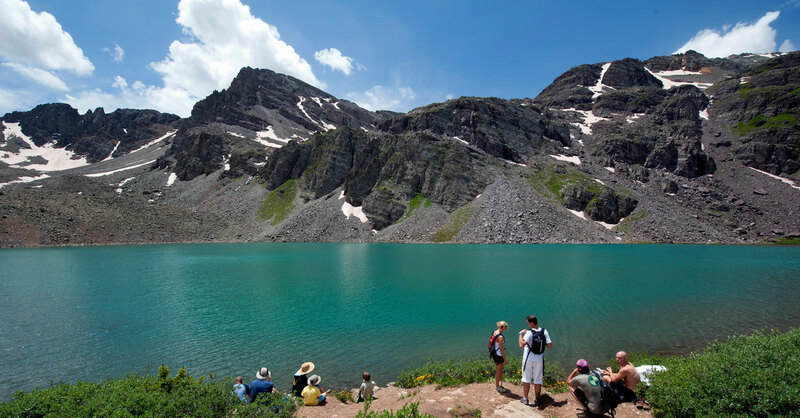 Camp Aspen/Snowmass is open weekdays now until August 30. From interactive childcare for 1-year-olds to on-mountain adventure for teens, the camp offers a wide variety of summer programs for kids of all ages. Kids experience everything the Treehouse Kids Adventure Center has to offer, including playrooms, guided art and music activities, as well as a ride up the Elk Camp Gondola for toddler-friendly adventures and interaction with nature. A Colorado-licensed childcare facility. If you are looking to drop-by and let the kids play and explore while you pursue your own adventure — such as a dayhike, a round of golf or a spa day — try the age-appropriate day-camp activities at the Treehouse Base Camp. Children are grouped by age to join appropriate day-camp activities including gondola adventures, parks, hiking, Euro-bungee, playing in a bounce house, theme days, pony rides, climbing wall, fishing, skateboarding, mountainboarding, target paintball, Aspen field trips and much more! Activities will vary daily and for each age group. Kids in Treehouse Base Camp may arrange for a private lesson in mountain boarding, skateboarding, fishing and mountain biking for and additional cost. Overnight camping lets kids spend the night in a private Snowmass campsite, in a fun and supervised setting. Mountain activities, dinner, campfire, stories, songs and a little stargazing make for a night your child won’t ever forget. Campers will meet at 5pm at the Treehouse and will return the next morning by 9am. Kids will travel with camp staff to one of the following: Glenwood Hot Springs Pool, Mini Golf or Glenwood Adventure Park. These 2- and 3-day camps are ideally suited for budding scientists. Kids will learn about and build their own model rocket and watch it launch! Full-day of coaching and riding the downhill mountain-bike trails of Snowmass. 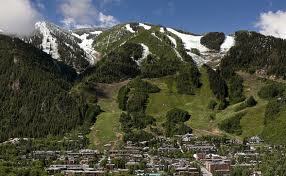 Kids can rent a downhill bike and gear and we can help you with those arrangements here at The Innsbruck Aspen. Kids get to enjoy horseback riding on a mountain trail with a professional outfitter and supervised camp staff. After the ride, kids will participate in other camp activities. 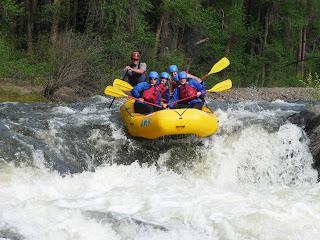 Kids enjoy Colorado and Roaring Fork River rafting adventure with camp staff and a professional raft guide. Learn mountainboard skills from the Professional with 3 action filled days of coaching. Children who would like a private lesson with a Bike Pro's can arrange for a two hour private lesson. Join action-packed days on a paintball course with a camp staff in a supervised, organized game of paintball. Kids should wear grubby clothes and sturdy shoes. Tennis coaching plus other camp activities. Golf coaching plus other camp activities. activities and making reservations for your kids ... and adults too! 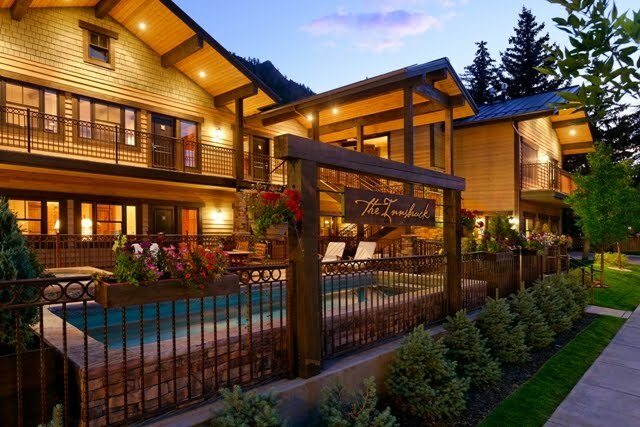 HAVE YOU MADE YOUR RESERVATIONS IN ASPEN FOR THE USA PRO CYCLING CHALLENGE...IT'S GOING TO BE EXCITING AND THE INNSBRUCK ASPEN IS JUST DOWN THE STREET FROM ALL THE FESTIVITIES AT PAEPCKE PARK! Colorado has seen its fair share of cycling, but there will be no denying the level of electricity in the air when the first rider rolls out of the start house for the 2013 USA Pro Cycling Challenge. The Centennial State is considered the "spiritual home" of pro cycling in America and the world's eyes of the sport will be on this year's exciting events. Spectacular scenic backdrops, sophisticated cultural activities and exciting alpine adventure define Aspen / Snowmass in Summer. Review the calendar of events below, you’ll be amazed at what you discover. There are many events surrounding the USA Pro Cycling Challenge’s arrival in Aspen / Snowmass on 8/19. Join us to celebrate the USA Pro Challenge Overall Start in Aspen with race festivities at the Race Festival Sunday, August 18-August 20. Sunday and Monday beer garden, kids zone, expo and food vendors, live music and more at Papecke Park! Tuesday, August 20 join visitors and locals alike near the start line from 8:30-11am. 11am-6pm Race Day Festival at Paepcke Park — Join us for a beer garden, kids zone, expo and food vendors, live music and more! 12pm-6pm Race Day Festival at Paepcke Park — Join us for a beer garden, kids zone, expo and food vendors, live music and more!